Welcome to the website of the Arthroscopy & Arthroplasty Courses Utrecht. These annual international advanced courses present the state of the art treatment of sports medicine, trauma and osteoarthritis of the knee, shoulder, elbow and wrist & hand. 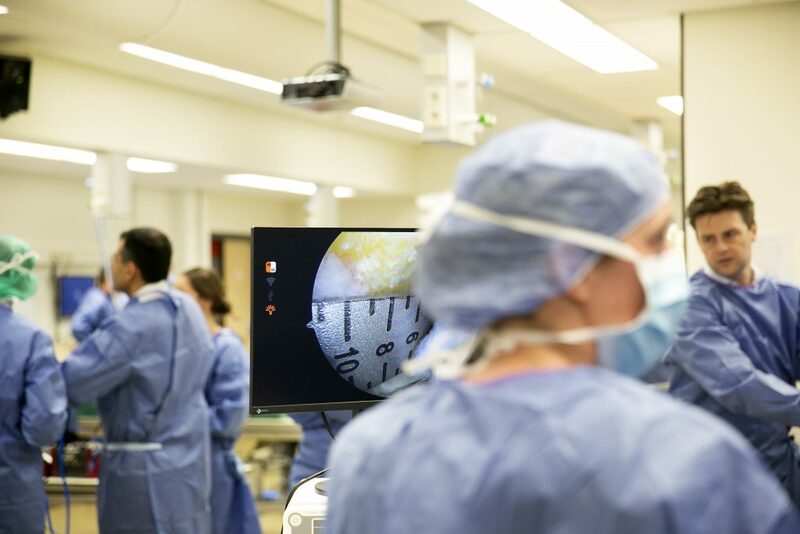 The course accredition has been requested at the Netherlands Orthopaedic Association (NOV), the Netherlands Society of Plastic Surgery (NVPC) and the Association of Surgeons of the Netherlands (NVvH). Approval is pending by ISAKOS, ESSKA, SECEC, FESSH, the Dutch Knee Society, the Dutch Shoulder and Elbow Society and the Dutch Arthroscopy Society (NVA). The independent courses present the latest surgical techniques by lectures and live demonstrations by world-renowned international faculty. You can perform the surgical techniques at the anatomy skills-stations of the University Medical Centre Utrecht. All courses are recognized as EPA Expert level courses for Dutch orthopaedic surgeons and Dutch orthopaedic residents. We all are pleased to assist you and are looking forward to meet you during one of the Arthroscopy & Arthroplasty Courses in Utrecht!